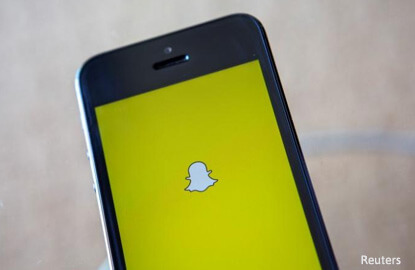 NEW YORK (Feb 24): Next week's planned US$3.2 billion IPO of Snap Inc, maker of the popular Snapchat app, is oversubscribed, market sources told IFR on Friday. Sources said underwriters told investors that the deal is oversubscribed at the marketing range of US$14-US$16 per share, but they have yet to offer more specific pricing guidance. Potential buyers have been plentiful at lunches in New York and London this week during the IPO's rodashow, though many have reservations about the company's future. Investors have questioned the company's slowing user growth, which was just 3% in the latest quarter versus the prior quarter. There are also doubts about Snap's ability to sell ads to the 158 million daily active users of Snapchat, and how sticky these users will be amid competing products from the likes of Facebook and Google.